Often that starts with your own team and the people who work in the company. Making sure they understand your brand values and their part in delivering that value to customers and potential customers. We work with lots of different types of clients in many different industries and in markets across the world. 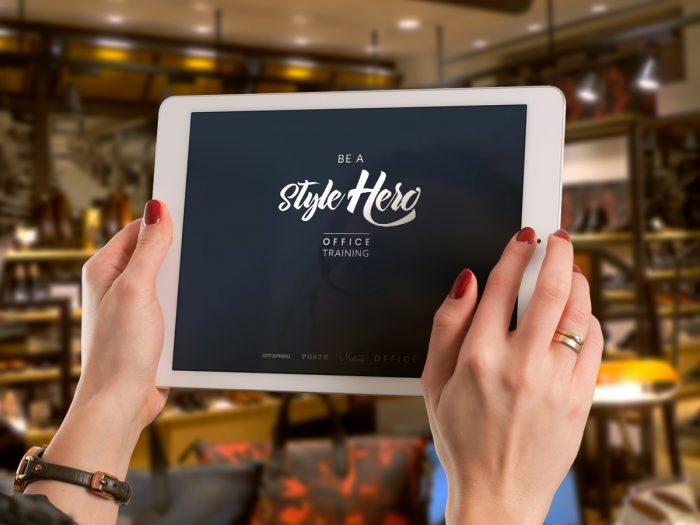 We work with them to create clear, entertaining and memorable brand awareness campaigns for internal and external audiences alike. 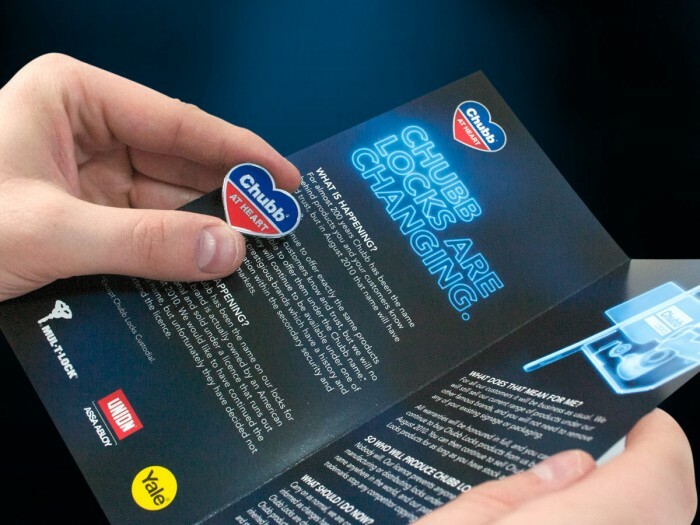 These campaigns are then delivered through a range of channels including printed communications and direct mail, through advertising and exhibitions, to websites and online digital media. Our first step is always to sit down with you to learn all about your brand, how it is currently seen by different people and how you would like it to be seen. From that understanding, we brainstorm great ideas of how we can captuire the attention of these audiences and shape their awareness of your brand! We then have some fun creating strong visual concepts that build on that message to make it striking and memorable. Take a look on the internet and you will find thousands of companies making wild claims to be ‘the global leader’ in their industry – but for ASSA ABLOY that statement is literally true. 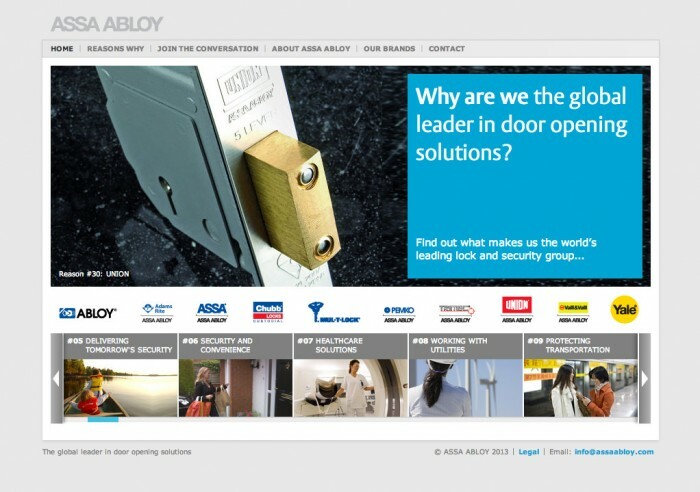 To raise awareness of the ASSA ABLOY brand, and showcase their achievements, we created a campaign that set out the reasons why ASSA ABLOY are ‘The global leader in door opening solutions’. We would love to meet and talk about your brand awareness campaign - or any specific projects you are planning.